Some accessories can literally transform an outfit. You can take one look and make it infinitely more interesting just by adding the right pieces. I always try to invest a little bit more when it comes to statement pieces, such as a bag or a nice watch. But don't get me wrong when I say 'invest'. This doesn't mean you have to spend a fortune buying gifts! Believe me, I know how stressful Christmas shopping can be, so that's why I think it's important to find things that are kind on our pockets as well as our wardrobes! So because this month is full of shopping and getting the right things for your friends and family, I wanted to share with you a few more of my favorite gift ideas from my Holiday Fossil picks. I'm sure you will love them as much as I do because they are versatile and timeless pieces that you and your loved ones will enjoy. 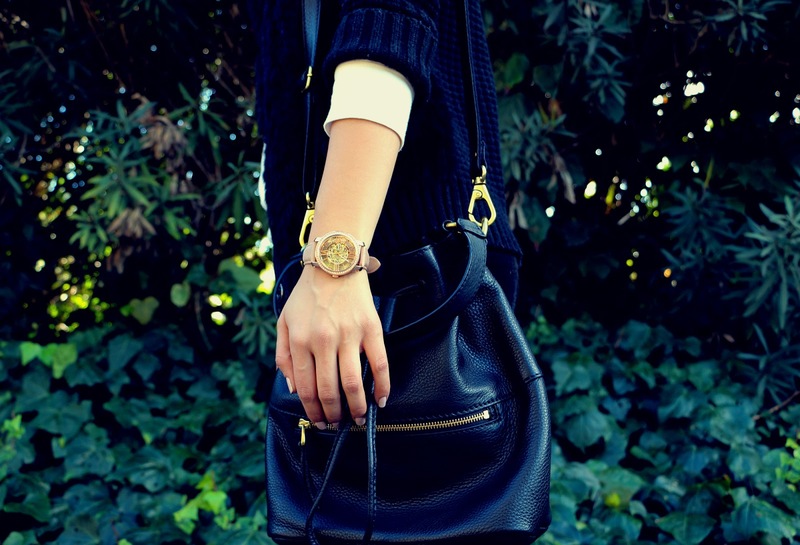 I'm wearing bag and watch by Fossil. Algunos accesorios pueden trasformar por completo un look ya que puedes hacerlo mucho mas interesante si le agregas las piezas correctas. En lo personal siempre trato de invertir un poco mas cuando se trata de piezas clave, como una bolsa o un reloj. pero no me mal interpreten cuando digo invertir. Esto no significa que te tengas que gastar una fortuna! Créanme que se lo que estresante que pueden llegar a ser las compras navideñas así que lo importante que es encontrar cosas que sean accesibles. 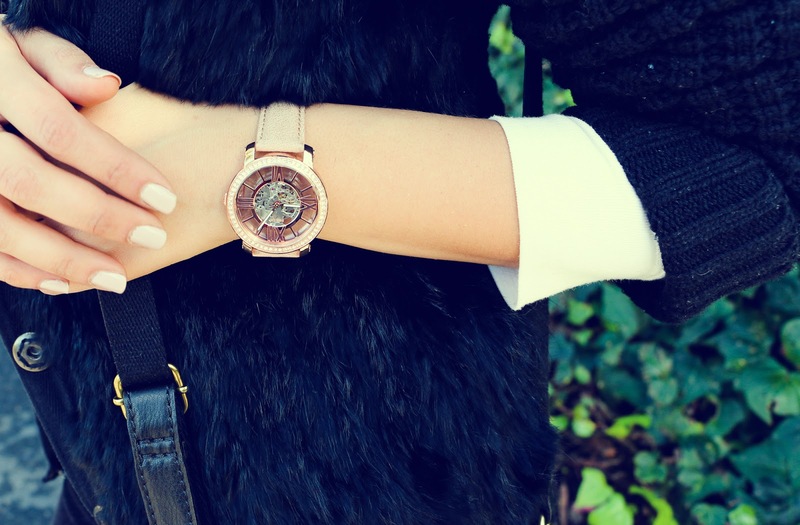 Así que como este mes se trata de comprar regalitos a nuestros seres queridos, decidí que este es el momento perfecto para compartir con ustedes algunas otras buenas opciones de mi lista de regalos de Fossil. Estoy segura que estas opciones les encantarán a sus amigos y/o familiares. Especialmente porque son piezas clásicas y muy versátiles las cuales podrán disfrutar no nada mas en estas épocas navideñas si no el resto del ano. Llevo bolsa y reloj de Fossil. I love the purse! Great photos. I love the navy blue, and every hair color can wear it. I totally forgot about this color...Beautiful coat in the first picture with the detailed pockets and wrist..You always look so fresh and vibrant !!! Keep the photos coming ! !